*insert heart face emoji here* These boots! I fell in love with them a few months back but the £80 price tag meant I had to laugh, cry and walk away because Christmas hit me hard and then they seemed to have sold out everywhere. Then when I was out shopping with Sophie I spied them in the Zara sale, one size bigger than my usual. I tried them on, fully expecting them to be massive but they actually fit perfectly so I ran off to the till with them. I managed to get them for £40, which I paid for with my Christmas vouchers (knew I was saving them for something special!) The toe is rather pointy, which may give off witchy vibes to some, but I for one am loving the kind of Saint Laurent feel they have going on. As if I needed another pair of black boots but these are seriously special...if anything's going to prise my feet out of trainers it's these beauts! Hands down my best Zara sale find to date. Expect to see them in many an outfit post. Oh. be still my beating heart! They're absolutely gorgeous! 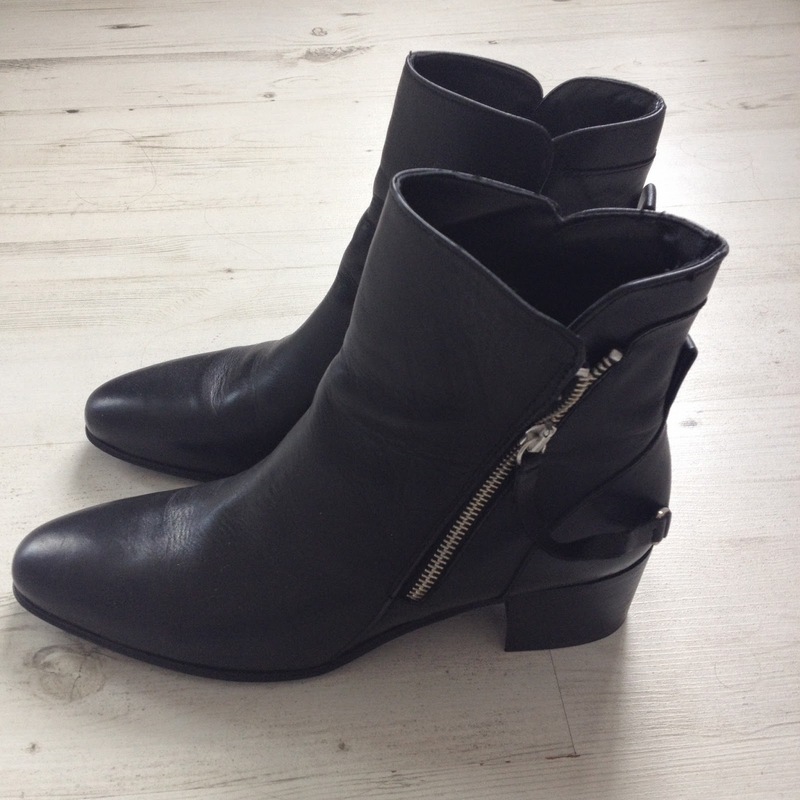 I'm a huge fan of a cute black boot! I fell back into the Zara trap this weekend! I just can't keep away! Ooh they are rather lovely and you got them fro a bargain too which just makes them all the sweeter. Hello beautiful boots, I love them, what a grand steal! Thanks for stopping by sweety, have a great creative week ahead! Well, HELLO THERE. They look much pricier! WANT. Josie they are gorgeous! Love a pointed ankle boot right now. Great find.